Time for your close-up. This is an intimate shoot, starring just the two of you, at the location of your choice. Maybe it’s the place you met. Maybe it’s where you proposed. Or maybe it’s just your favourite dive bar. Your tastes and personal quirks take priority as we capture the spirit of your engagement. I’ll be on-site, personally capturing your big day. For most weddings, I bring a second photographer. This lets us capture the stories of both the bride and the groom as they prepare for the ceremony. Then, my second photographer and I can capture the ceremony itself, plus the reception, from multiple angles. It gives you extra options to choose from as, later on, you put together an album. And it guarantees at least one of us will capture Great Uncle Harold on the dance floor, busting out the Electric Slide. Since I can’t stand bad photography, all second photographers are vetted by myself. They’re among the best of the best. 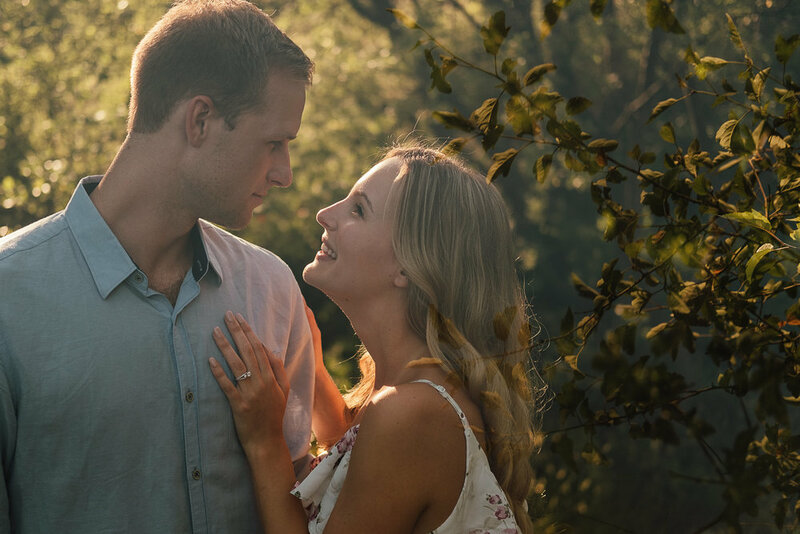 You’ll get hi-res photos of both your engagement and wedding. A step beyond the typical photo booth, the portrait station features a professional photographer at the helm. They’ll help you and your guests look your best—even as the party goes into the wee hours of the morning. Learn more about the portrait station. Instagram filters need not apply. Digital photography can capture beautiful, high-res photos. But the warmth of analog film—including Polaroids—is a different beast entirely. We’ll capture and develop your photos using old-school, tried-and-true methods. A beautiful, hardcover memento of your wedding. Specs: 12 x 12 inches, 40 layflat pages. A fine art magazine, and you're the cover story. Specs: 80 pages, glossy, softcover. Take your favourite wedding pictures from your computer screen to the walls of your home. It’s amazing to see how the size and texture of hi-res, digitally-printed canvas complement a photo’s depth and richness. Framing options to fit any decor.